Alcohol consumption in Australia is expected to fall to its lowest level in over half a century this year. That’s right. It seems VB tinnies and Double Blacks are quickly being replaced by wheatgrass shakes and early morning runs… Okay, not quite. 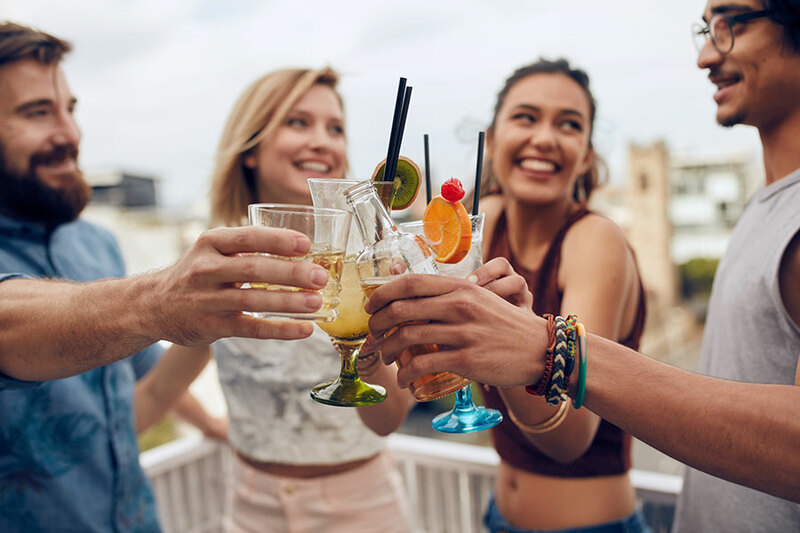 It’s no secret that Aussies love a drink, maybe a few too many, but this recent decline in alcohol consumption amongst us Australians has no doubt been fuelled by government initiatives and social awareness for increased health consciousness. In fact, not only are our drinking habits declining, more and more people are abstaining from alcohol completely! Despite the drop in consumption, spending on alcohol has actually continued to increase. This is a result of the culture shift from ‘quantity’ to ‘quality’. We are taking more of an interest in premium and boutique liquor options (raised pinky, anyone?). Instead of drinking to a point of intoxication, Australians are appreciating and taking the time to enjoy their drink, be it at home on their couch, or served alongside a 5-course meal on the water’s edge at Darling Harbour. I’m quite excited about this social movement. As a travel bug and liquor enthusiast, alcohol has often given me an insight into foreign cultures not only through taste, but the stories that come with them. Whether it’s Cognac from France, or White Rum from Thailand, I am always engrossed in the brand history, learning about the distillation and brewing methods, or the people behind the movements that allow me to indulge in such wonders. It’s hard to miss the trends in fitness and health awareness buzzing around Australia at the moment, and if our changes in drinking behaviour is aiding in this development of a healthier, happier Australia, then I’m all for it. With the abundance of foreign importers and local brewers/distillers in Australia, there is ample opportunity to continue drinking quality alcohol in moderation. Normally I don’t read article on blogs, but I wish to say that this write-up very forced me to try and do so! Your writing taste has been amazed me. Thanks, quite nice post.